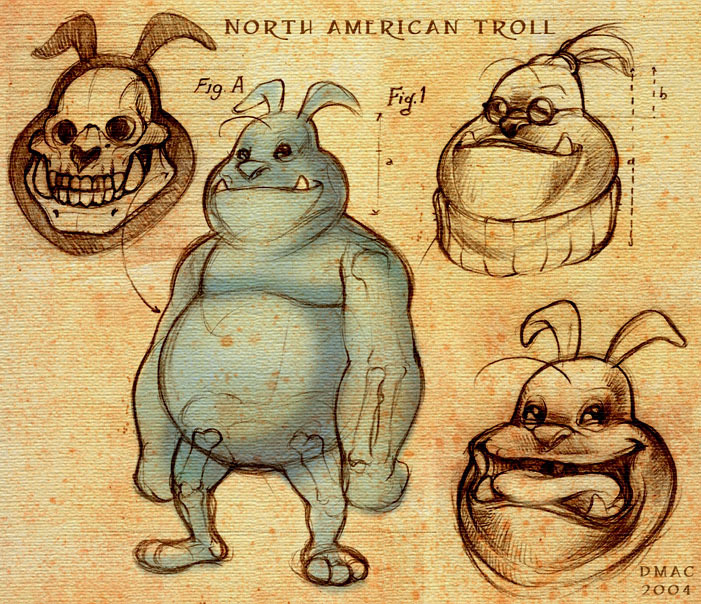 The continuing existence of patent troll is a baffling failure of modern regulation. For those not familiar with this mythical figure, it is the bane of the software industry in the United States. If you are new to the term, I highly recommend listening to this amazing podcast from NPR uncovering the phenomenon. If you don’t have the time to listen, the term patent troll refers to firms that specialise in gaming several unique features of US patent law. Firstly, unlike large parts of the world, the US not only allows for the patentability of computer programmes, the US Patent and Trademark Office (USPTO) granted for many years large numbers of software patents on technology that was both obvious and not novel. Secondly, you can apply for a patent without having to go through the trouble of developing anything yourself because patents protect ideas. Thirdly, the jury culture in the US favour inventors, as there is a pervasive image in the collective psyche that protects the lonely struggling inventor. This combination produces the perfect environment that creates the perfect breeding ground for patent trolls. The patent troll usually is a shell company that buys software patents and then sits on them until the time is right, and then they extort licence fees from real developers. If the tech company will not pay a fee, then they will sue. The trolls are usually based in districts with a distinct history of pro-patent owner awards, so defendants are more likely to settle out of court to make the nuisance go away. This is a tax on innovation, as true innovators will be the first on the market, if they did not apply for a patent then it is likely that an unscrupulous “inventor” will have filed some general claims that cover what they are doing. In a nutshell, what the “inventors” did was to file a patent application for a method of updating gaming software parameters online. This is not only obvious, but there was a lot of relevant prior art for the update of graphics using real-time parameters that pre-date the filing date, a very quick search produced this, this and this, and I wasn’t even trying hard, and I am sure that expert in the area would be able to find out the lack of an inventive step in this application. The claims are similarly general, with claims 1 though 17 pretty much trying to reinvent lukewarm water. By 2002 we already had quite a lot of sports games, and you can update and upload new parameters based on the season. The patent is supposed to be an “invention” by claiming something that was already obvious by then. But what is a true travesty in the issue of patent trolls is that these are firms that exist solely for getting money from the people making the products. The claimant is one White Knuckle IP, based in Utah, while the patent is assigned to White Knuckle Gaming. There is a White Knuckle Games LLC based in Atlanta with a blank website, but it doesn’t seem to be the same firm. In fact, I could not find any online presence for White Knuckle IP, in fact they don’t seem to manufacture or produce anything. In fact, the listed address in the complaint is a residential area. Software patent defendants know quite well that this is a racket. During a telling Twitter conversation with one of them, it became clear that they hold developers with contempt (“cheap hacks” is how he described programmers). The smart people do not create, do not innovate, do not produce, do not sell anything. The smart inventors file for a patent for something obvious, then sit on it and sue those who give us products and enjoyment, trying to gain from their profits. If innovators did that, we would not have any products. They are parasites taking advantage of a broken patent system. Thankfully this would not be possible in Europe, I am convinced that a patent such as this one would not be granted. We must stay vigilant and make sure that we do not give patent trolls room to operate. I like the idea, unfortunately there’s nothing like that at the moment.